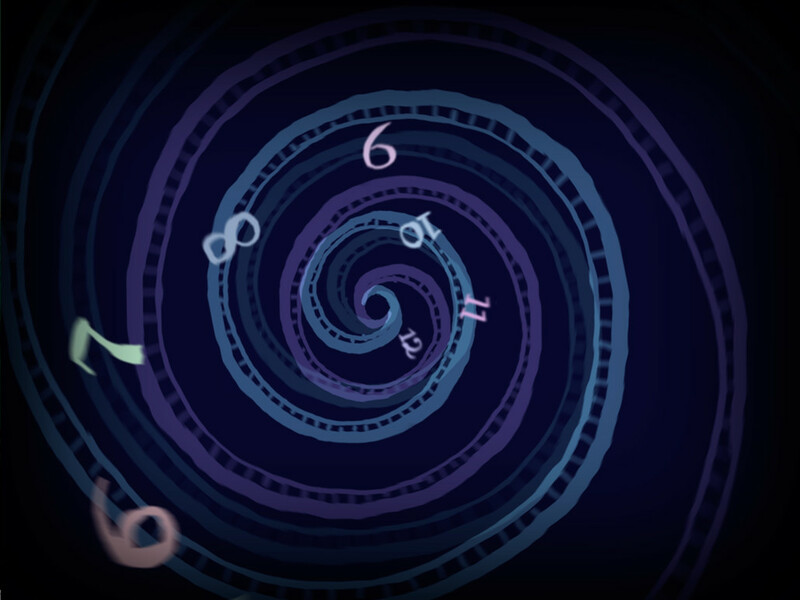 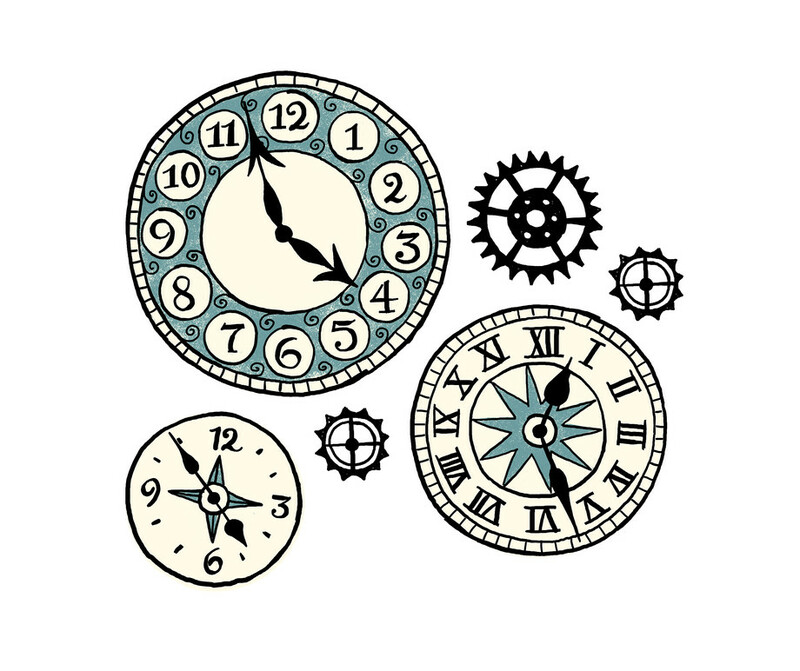 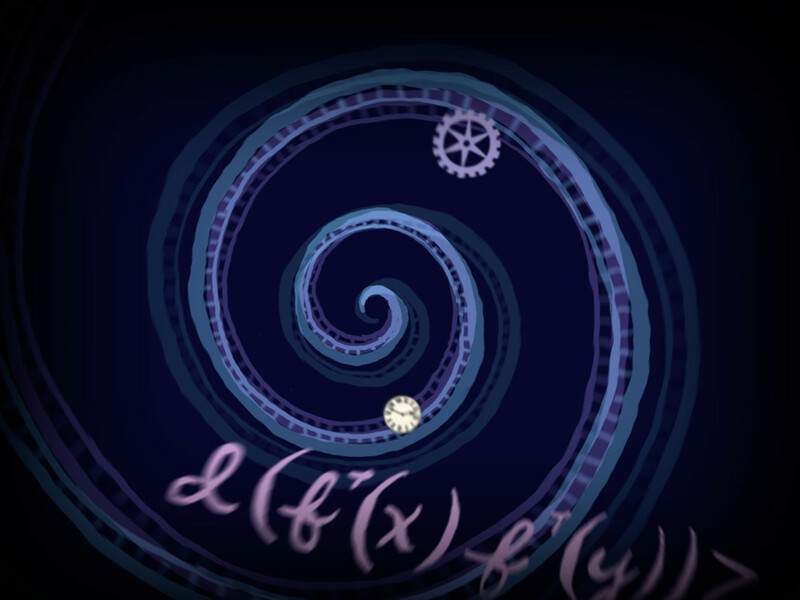 Motion design for the time travel sequence. 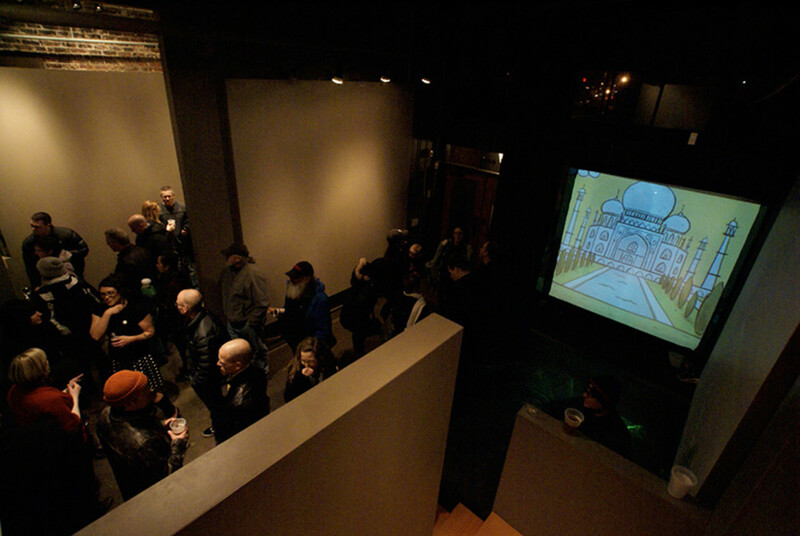 Time travel sequence (rear projection). 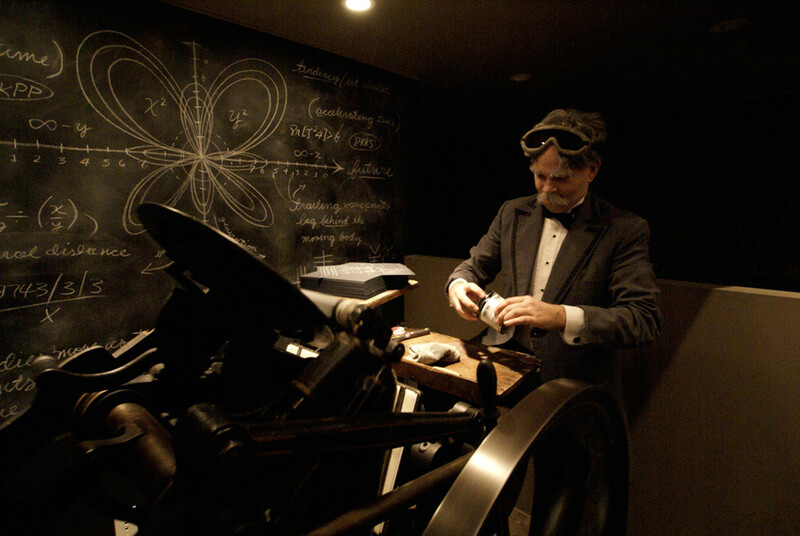 Mr. Wissell printing event posters on the studio letterpress. 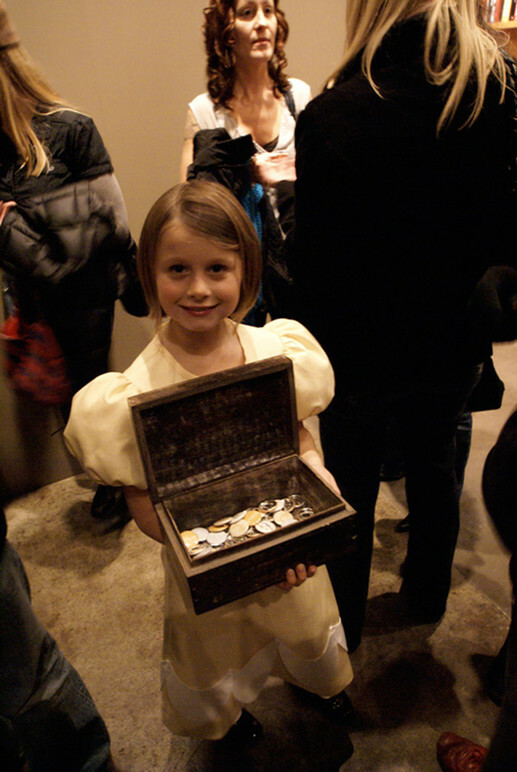 Belle offering buttons to guests at the event. 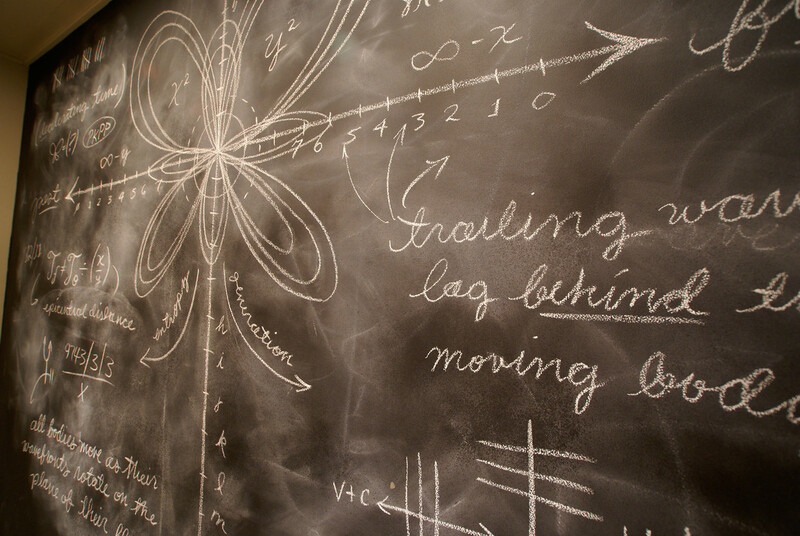 Illustrated chalkboard walls in the studio. 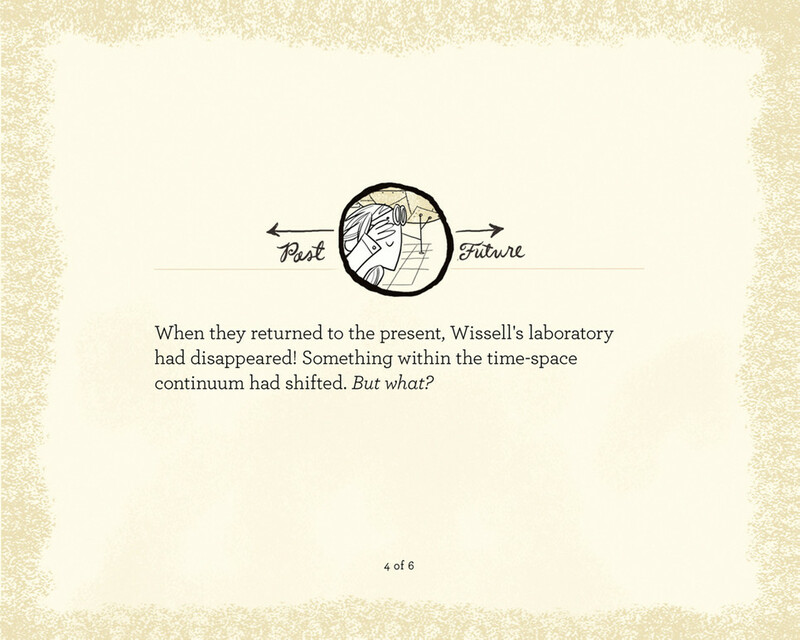 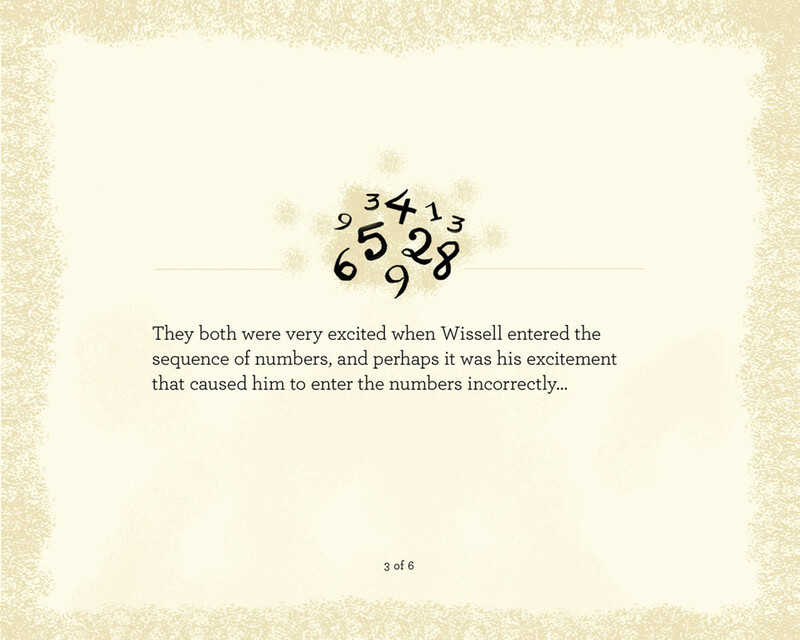 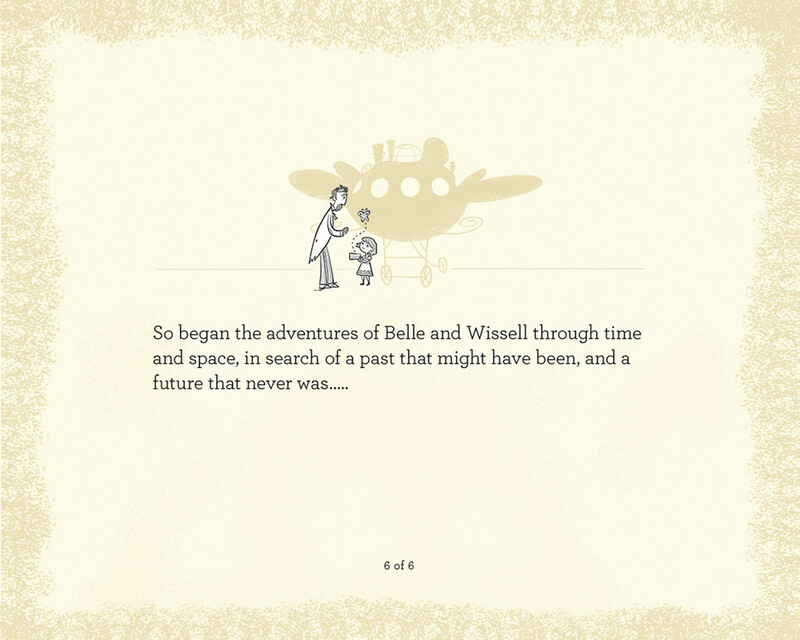 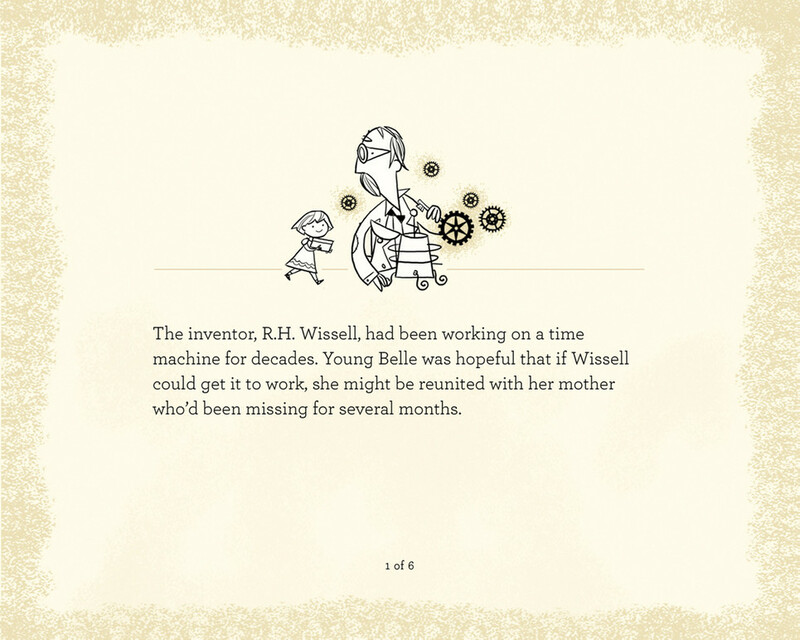 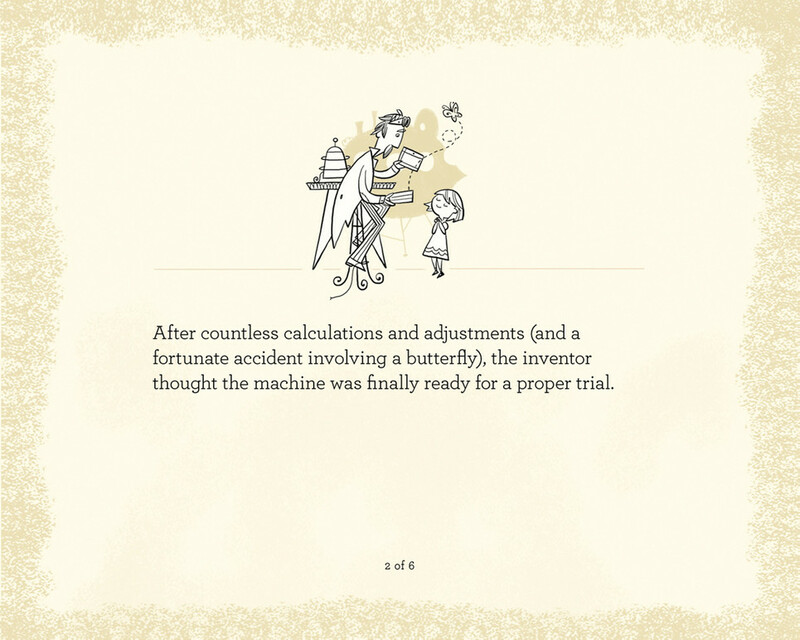 “The Story of Belle and Wissell: How It All Began” brings to life the studio’s namesake through the written story and illustrated characters of Belle and Mr. Wissell. 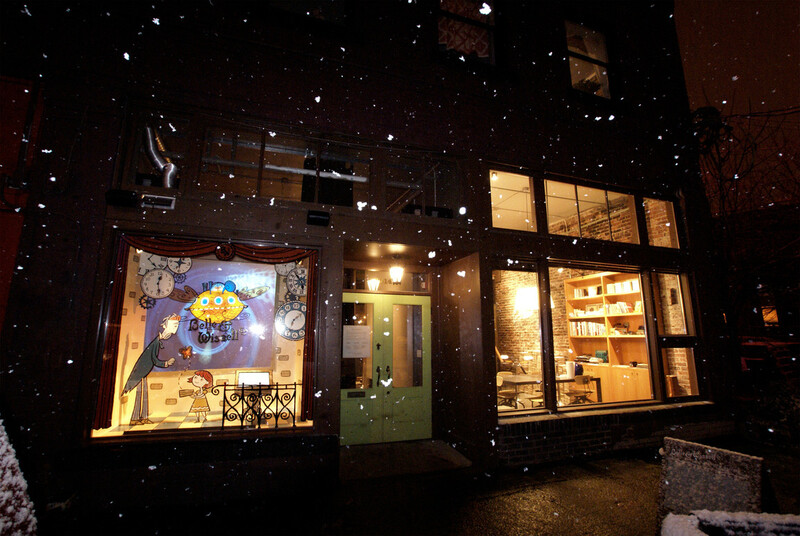 The studio created a media-rich window display to act as the central installation for its companion Story Kit unveiling event, and to serve as an alluring holiday attraction for the Seattle community. 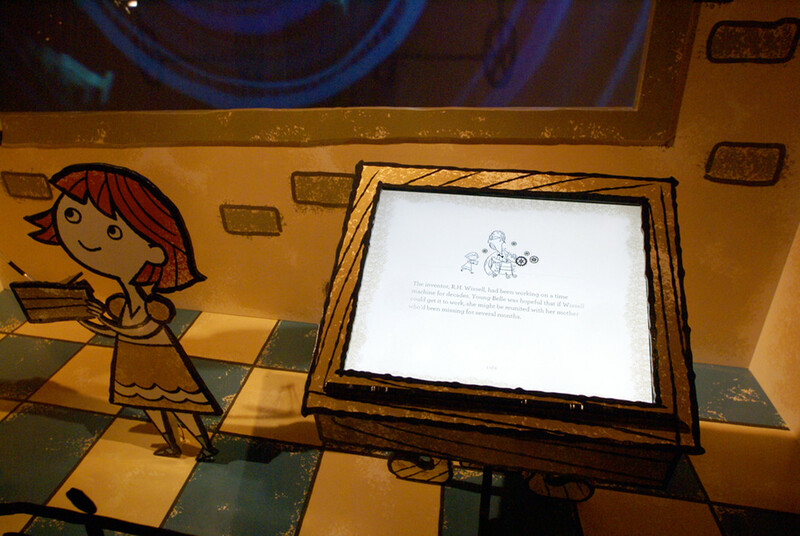 The Story Window components included hand-painted artwork, mechanical moving parts, an animated story kiosk, rear-projected motion graphics, and a heart-warming soundtrack. 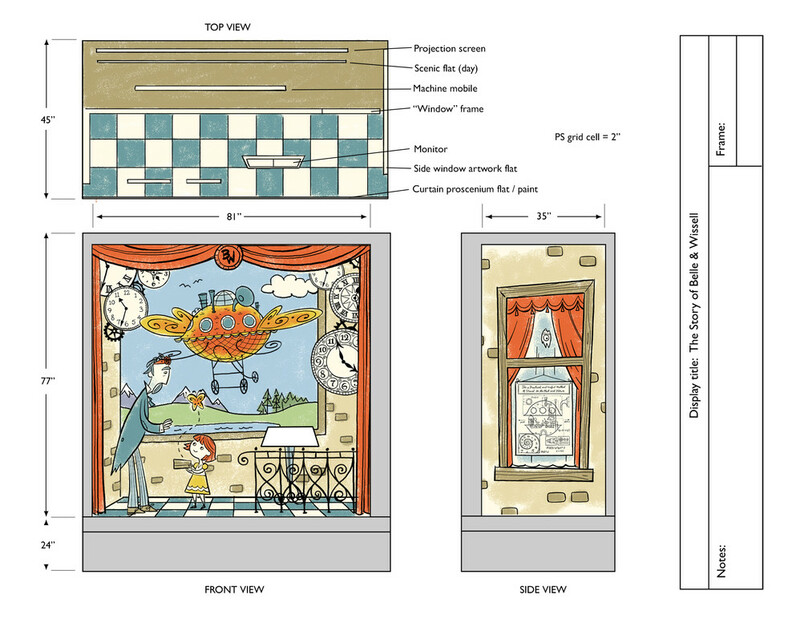 The window display was created in collaboration with a team of contributors. 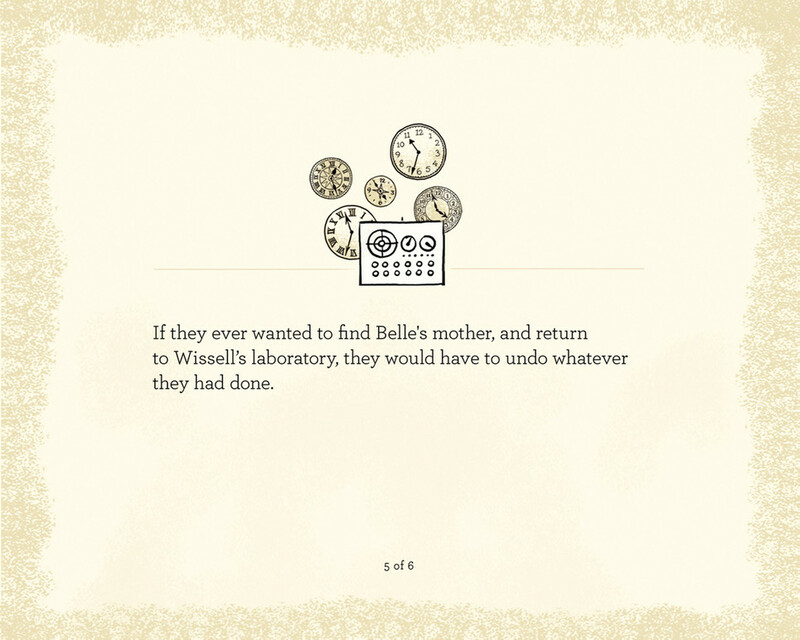 This project is part of the series “The Story of Belle and Wissell®” from Belle & Wissell Editions. 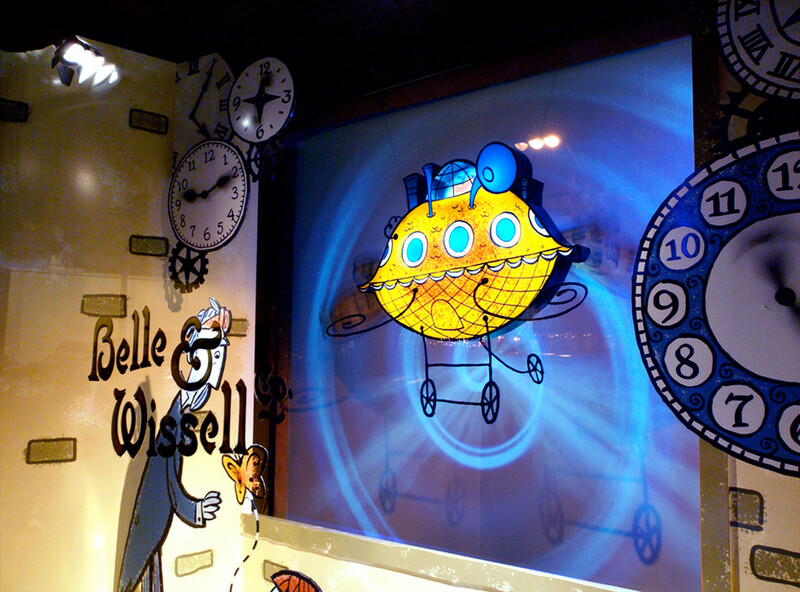 Belle & Wissell, Co.® and The Story of Belle and Wissell® are registered U.S. trademarks.